Egypt and the United Arab Emirates (UAE) agreed on Tuesday to form a joint technical committee, aiming to study the establishment of a factory for medical waste disposal as part of the Egyptian government’s integrated plan of waste-recycling management. During a meeting held between Minister of State for Military Production Mohammed al-Assar and Chairman of Emirates Group for the Transformation Industries Badr bin Fares, Assar said that the factory would enhance the country’s environmental, health and life conditions. He clarified that the Ministry of Military Production would cooperate with global companies for transferring modern technologies in waste disposal and recycling to the ministry’s companies. 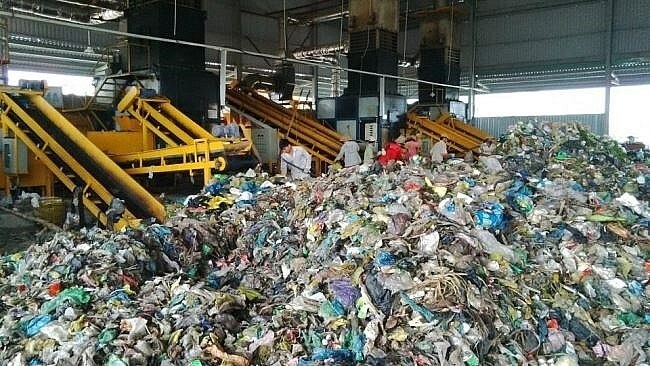 Assar pointed out that the ministry has established 65 waste-recycling factories containing skillful labors and high-tech machines nationwide. Meanwhile, Fares said that the group would equip the factory with modern environmental systems and German-Polish technologies for waste disposal. An Egyptian ministerial delegation including Minister of Local Development Mahmoud Sharawy, Minister of State for Military Production Mohammed al-Assar and Minister of Environment Yasmen Fouad held meetings with Germany’s Minister of Environment and several German companies in January. They discussed waste recycling and the production of compost, biogas and energy. The Egyptian delegation said that the waste management system would contain five steps, including the establishment of a waste system infrastructure, the rehabilitation and upgrading of waste recycling plants, the addition of new lines, and the continuation of repairing existing equipment.